No one comes close to catching up with our awesome Air Force Gnome! This Top Gun Gnome has been aiming high and doing the impossible every day so that others can garden. 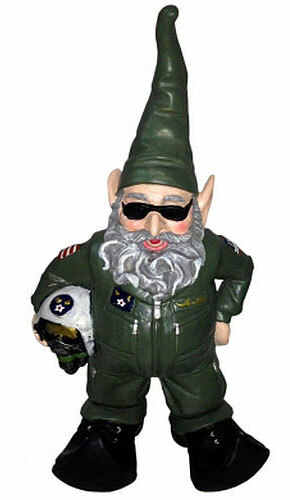 Complete in his grayish green military flight suit, a true defender of the Force, you'll love our Top Gun Gnome! "Aim High... Fly-Fight-Win." - U.S. Air Force Official Motto.